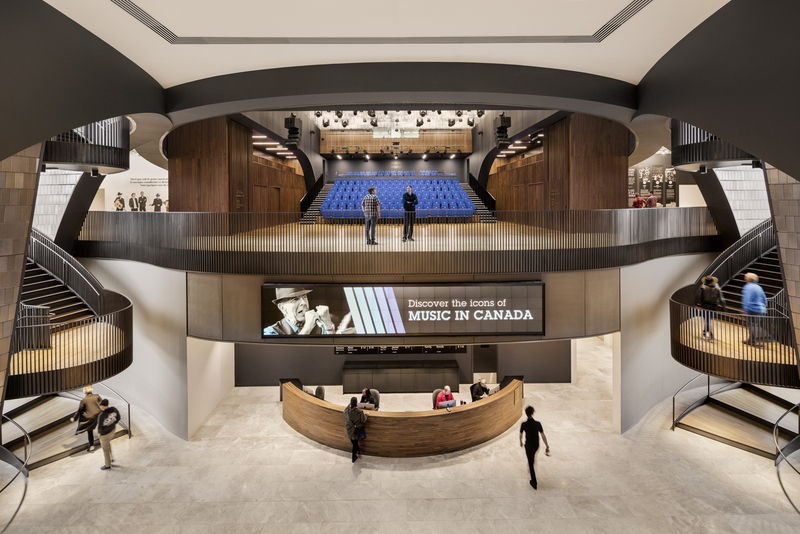 Incorporating both physical and intangible elements of Canada's musical history, the National Music Center by Allied Works is a nine-towered, terra-cotta tile clad complex that not only ropes a 112-year old hotel/blues club into the mix, but creates the kind of spaces suited for gazing dreamily into one's future. 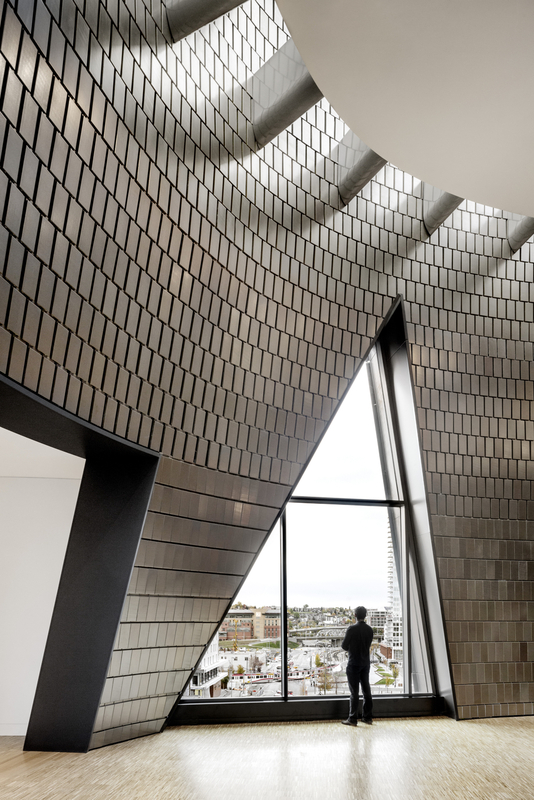 According to Brad Cloepfil, Principal at Allied Works Architecture, the structure was "inspired by the light, landscape and geography of the northern prairie." 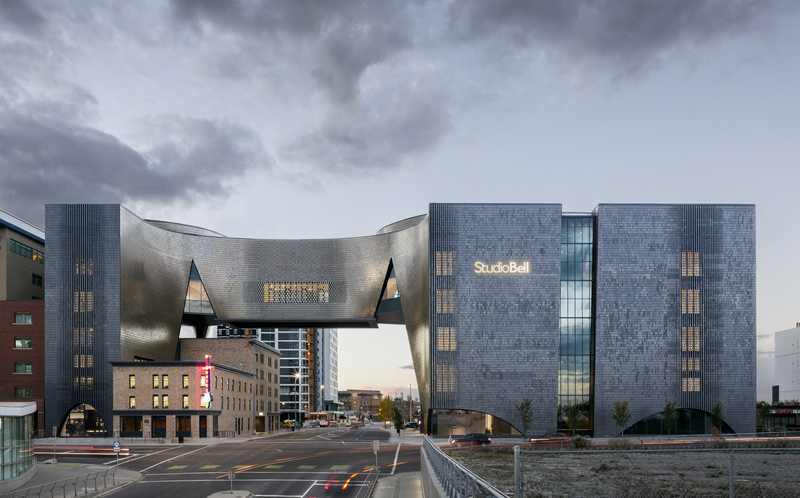 He goes on to note that "Studio Bell was created to amplify the rich history and future possibilities of Canadian music. 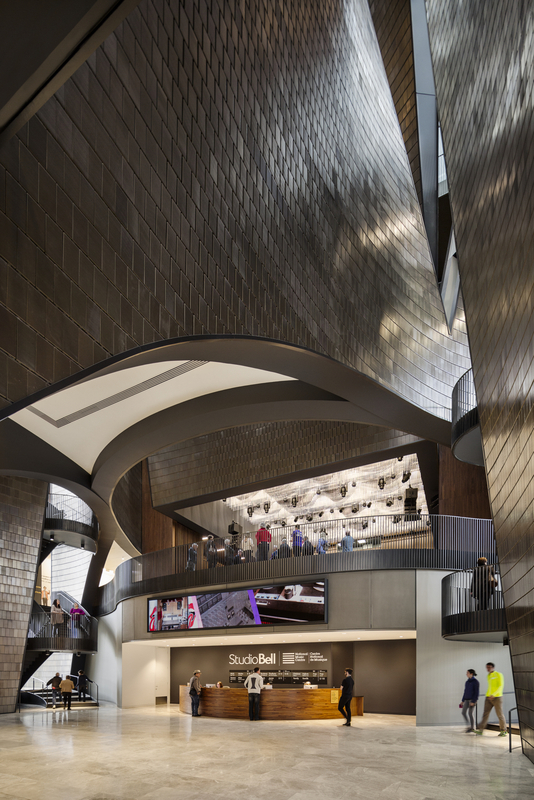 The building aspires to create a sense of wonder and mystery, inspiring the visitor to explore. Nine separate towers rise five floors above the street, each resonating with music and activity. The building is alive with the life of music throughout its exhibition, recording, editing, performance and education spaces. The distinct vessels of music are bound together by the space between them, moments of silence filled with light and views out into the city and beyond. 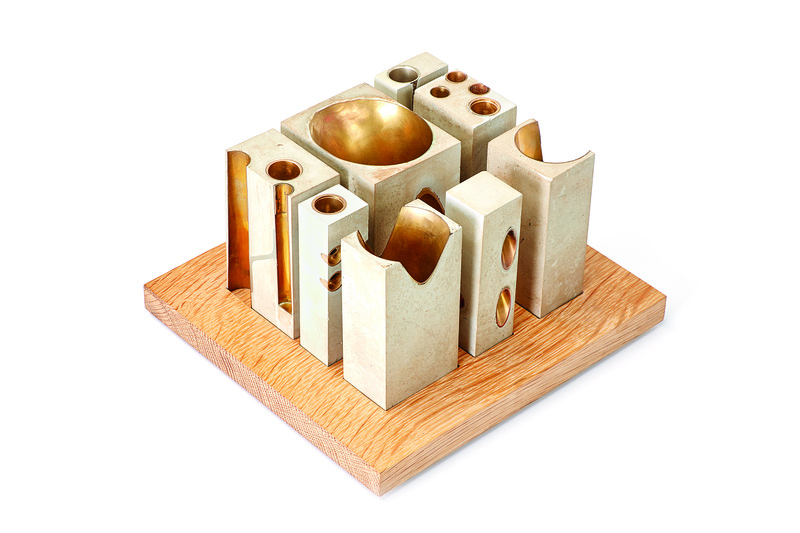 The interwoven structure of the building envelops the visitor, with surfaces of metallic and earthen tile crafting an architectural instrument of light, space and music." First building I've seen personally that photographs with the atmosphere and intensity of a tricked out render. Impressive. Doubly so because until now I've never thought too highly of AW exterior designs..